As Girl Scouts we know that ordinary girls can do extraordinary things and a world of good. Unfortunately girls are not usually represented this way in popular TV shows and movies that many of our girls watch. 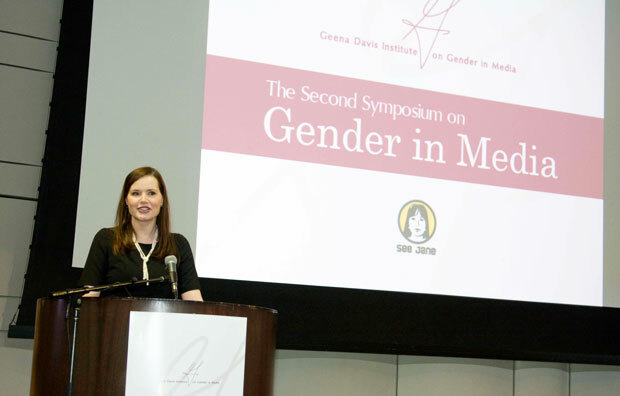 Academy Award-winning actress Geena Davis – who has starred in roles that break down gender boundaries – is aiming at changing the face of girls in media by bringing awareness to the lack of female protagonists in TV and movies as well show the lack of diversity in the female roles that do exist. According to Davis, their message is getting across to the entertainment industry. In a survey of people in the entertainment business 68% revealed that the message of the GDIGM has influenced more than 2 of their projects; 41% reported that more than 4 of their projects have been effected by the message of the GDIGM. While we certainly wish these numbers were at 100%, this is still great news for the future of the portrayal of girls and women in the media. 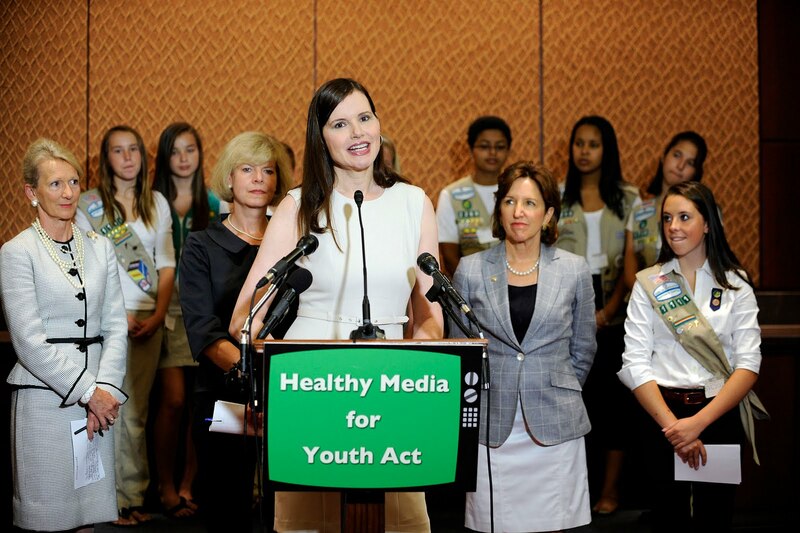 To further her mission, Geena Davis partnered up with Girl Scouts in 2011 to create the Healthy MEdia Commission. Healthy MEdia: Commission for Positive Images of Women and Girls will bring together media leaders and subject related experts to create a blueprint of recommendations for promoting positive media images. The Commission brings together media leaders and subject related experts to create a blueprint of recommendations for promoting positive media images. It is no surprise that Davis supported Girl Scouts in this effort because as a girl, she herself was a Girl Scout and is still extremely dedicated to our mission. Recently some of the GSCM Staff had the opportunity to hear Davis speak at the Network 2000’s 20th Annual Women of Excellence Luncheon. During her speech, Davis pointed out that Girl Scouts has already “written the book” so to speak, on how to create women of courage, character and confidence. After she had left the podium one of our staff members was was able to speak with her (and her body guard, who by the way was also a Girl Scout!) and get an autograph which she gladly provided. Just when you thought she couldn’t get any cooler! We would like to say thank you to Geena Davis for all that she is doing to inspire and ensure opportunity for girls now and as they become women. You rock!